Now, many people are interested in their roots, origin of the family. But knowledge of most is limited to brief information about great-grandparents or great-grandmothers. However, know your family history even if not preserved documents and photographs. Name can tell a lot about the history of their ancestors. So how do you know your ancestry by your last name? Ask your relatives about family history. Gather even small information, but especially pay attention to where the family lived, if she moved, what he did and grandparents professionally. Find your name in one of the dictionaries of surnames. It will not help you to know your specific ancestry but will indicate in which direction to move. For example, in such dictionaries may contain information in which geographic area had the name, is it foreign or Russian origin, in which social layer is spread. It will narrow the circle of your search. Examine the aspect of family history associated with participation in hostilities. 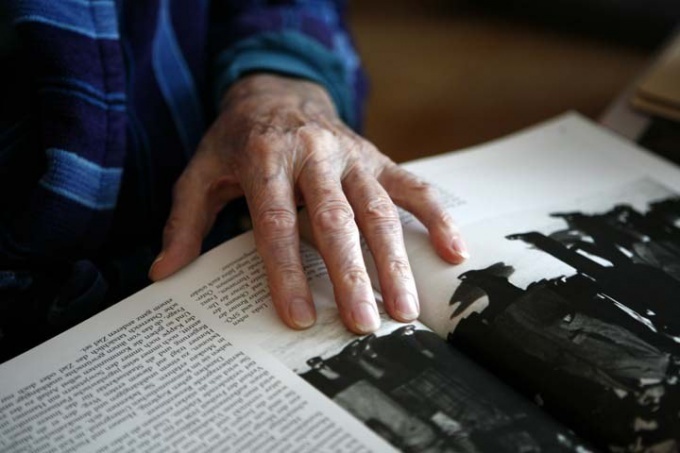 In particular, start a study with a "memory Book" is a relatively complete collection of the names of the dead and missing during the great Patriotic war. It can be found in museums, large libraries and on the Internet in digital form. Go to the website of the "memorial" society. There on the search page, enter your surname, name and patronymic of your family memberalleged to have participated in the great Patriotic war. In response, the system will display a list of names of the dead and missing soldiers. In this list you can specify the year of birth and death of his relative, and place of birth that will help you to Refine your search of relatives. If you know the names of your ancestors who are of age can participate in the first world war, find in the library filing military journals of the period, such as "Russian invalid". They also published lists of the dead and missing. After you have figured out geographically where your ancestors lived, try a search in the archive of the appropriate region or city. The difficulty is that person in the files you will not allow, if you have nothing to do with a research Institute or study at the faculty of history. But you can order in the archive are a certificate or extract of the your documents. A number of archives provide paid assistance to those involved in the search for ancestry, for example, advice to to approach. If you don't have time for detailed genealogical research, you can order a similar study professionals. The cost depends on the specifics of each individual study. 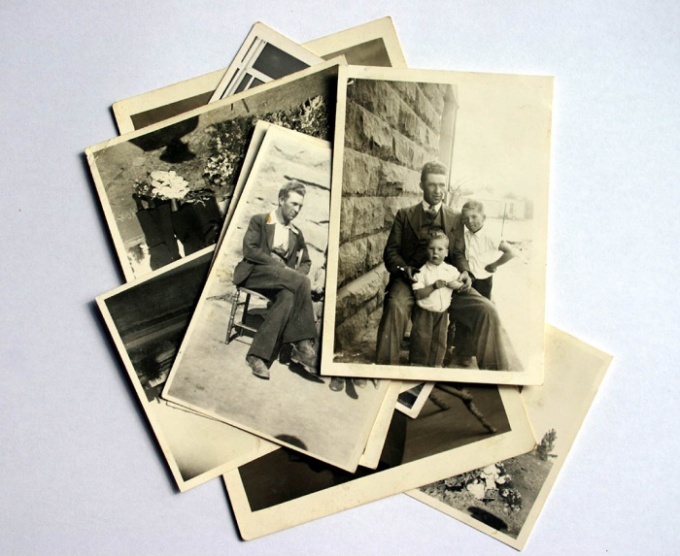 Genealogical research is a fascinating process that can continue almost indefinitely. Often genealogy for many turns into a hobby, like collecting stamps or collectible coins. But to find out their genealogical tree, sometimes you have quite a lot of work to do. To start the investigation of his pedigree, it is desirable with the purchase of stationery. You will not be able to keep in memory all the facts and events. Stock up on envelopes and folders, which then will be sent copies of documents, photographs, certificates from the archives. Even if you decided to use the computer and the scanner, the paper archive will help eliminate the risk of data loss when technical failure. The next step is tidying and sorting the family archives. Select the documents that contain genealogical information: birth certificates, marriage and divorce, death certificates, employment records, identity cards, certificates and other documents. Pay special attention to dates, names, places of residence and family ties. For each person take a separate envelope. Whenever receiving new data, put them in the appropriate store. In the future, you need to set a goal to obtain access to the family archives next of kin and copy documents relating to genealogy. A valuable source of information you need can serve as passport data. Not always at home can be available for yourself a passport, but sometimes it is enough to have drawn in a notebook passport numbers in order to access the appropriate archives. You can now go to the poll family. Most of them may not want to waste time on stories about their ancestors. But that you should not stop. Get a notebook and start to systematically ask their relatives about what they remember. A very good tool in this case may be the recorder. If relatives live in another city, use to survey letters, telephone, e-mail. Communication should be conducted in friendly manner in pleasant surroundings. Importantly, the Respondent was not in a hurry to get distracted by other things. Good to use for gathering genealogical information, family holidays, weddings, birthdays. Prepare a list of questions, and make them out to be so that they could not answer in monosyllables. Pochep is still a one-word answer, try to clarify information. It is easiest to start with the usual questions about time and place of birth. Encourage story-telling and anecdotes. Ask to see a family photo album. Be a good listener. The effective duration of the conversation does not exceed two hours. Later give the notes in order, swipe their systematization. Make sure to mark confidential information not to be disclosed. Gradually formed the contours of the approximate picture of your family tree suitable for further research. To begin to search through the archives, you need to know about the person surname, name and patronymic; year, place of birth and death, place of residence (of baptism), occupation (class). Keep in mind that in most archives genealogical search is a paid service. It is highly desirable to include in the query as accurate as possible information. Genealogy conveniently represented as a tree. 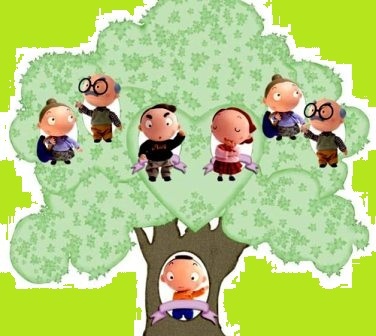 It is indicated by the ascending trunk of the person from whom the genealogy is built, branching will be his parents, small branches – grandparents. At the base of the tree will be the ancestor, and in the crown – the descendants. Interest in his roots, to the history of his family more often arises among our countrymen. People come back to their past and trying to recreate the way of life of their ancestors. However, the social and political upheavals of the twentieth century has done for many Russians it is difficult to find their origins. 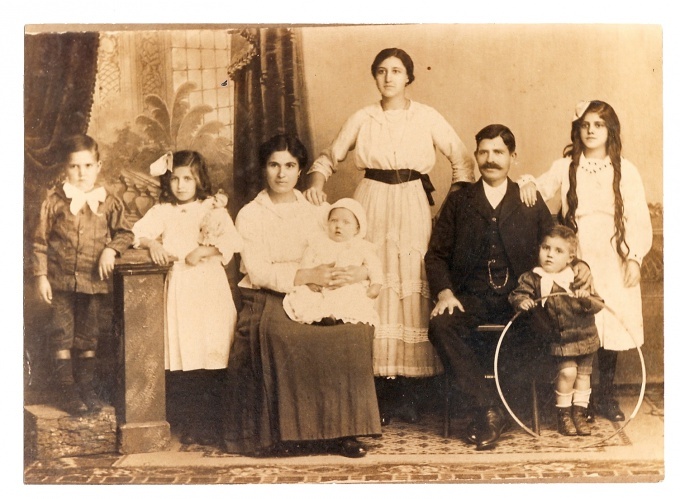 Wars, revolutions, mass repressions and the migration of peoples – all this is so mixed up fate that sometimes seems impossible any restoration of the family history. In fact it is not, to restore their ancestry , even if there is virtually no reliable information about the ancestors. To begin the search for their roots need with all available information. Even if you have no surviving relatives of the older generation – grandparents, at least there is evidence about their deaths, birth certificates of your parents and their marriage. And this is a good point of reference from which to push off. It is important to remember that all genealogical research is based on three basic principles: people's names, dates and location (i.e. names of settlements and institutions). Only all together they can reconstruct the exact history of a sort. So start your research you need always with a detailed survey of all surviving relatives, even distant. Their stories and testimonies need to write up, paying particular attention to the four characteristics (the exact names, dates, titles). You also need to collect all available family documents, including even the seemingly insignificant like school diaries, hospital tests or the private letters and telegrams. The fact that even such a "niche" documents may contain references to specific places of stay of the person, the dates of his life events. Documentary evidence of births, deaths, marriages of the next of kin can be obtained in the Registrar's office. Under Russian law, these documents are stored in the archives of the registry office for 70 years, then transferred to the State archives. Currently, to obtain the necessary information by private request can any citizen of the Russian Federation. To collect information Dating from before 1918, should apply to such documents as parish registers, churches, Census tales. Metric or parish books was carried out in every branch of the Church of Russia before the revolution of 1917. They contained three main sections: the birth and baptism of parishioners, deaths and marriages. After 1919, the parish registers have been deposited in the Registrar's office. Churches have existed since 1718г. and contained information on all the parishioners, who had been at confession, and absent on it. Census tales is a periodic census of the tax-paying population of the Russian Empire, which were held every few years. They contained information not only about a specific representative of a class, but the information about his occupation and his family. These three sources are essential to reconstructing the history of any kind. Of great importance for research can also play the First all-Russian census in 1897 It contained detailed information about the composition of family, age of all its members, including children and babies, information on the occupations of adult family members, their household and property. This census can now be found in the state archives. In addition to the basic named data sources may be used as the archives of those institutions in which he worked your relatives throughout his life. Information about the soldiers to obtain Military-historical archive in Moscow. This will require knowledge of the names and numbers of military units, which were ancestors, and approximate dates of service.